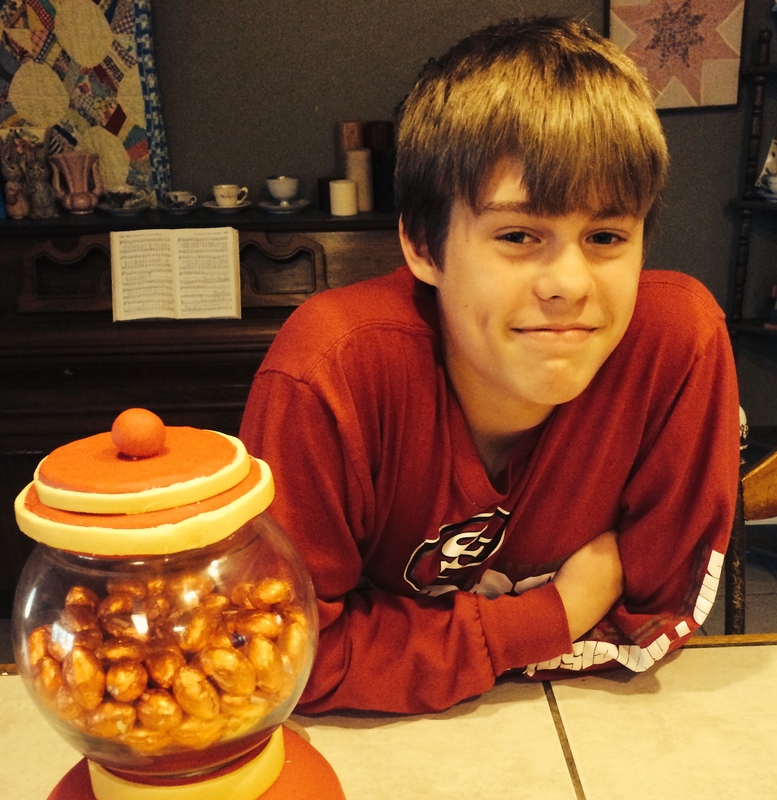 Meet Nathan, my thirteen year old son. He’s my very own California Beach Boy, as he was born while his father was stationed at the Presidio of Monterey, California. Of course, the blond hair, big blue eyes and a stunning double dimple on his right cheek on add to the image. Nathan has a lot of bragging rights, but his favorite thing to remind me of these days is that he is finally taller than me. Of course, this is not my favorite thing about my son, as there are far more things to love than just his height. Nathan is extremely generous. Once he used all of his birthday money to buy chickens and soccer balls as gifts through World Vision for children living in poverty in third world countries. Nathan is a deep thinker. He loves to engage in conversation and debate discuss intellectual topics, especially those on Biblical issues. 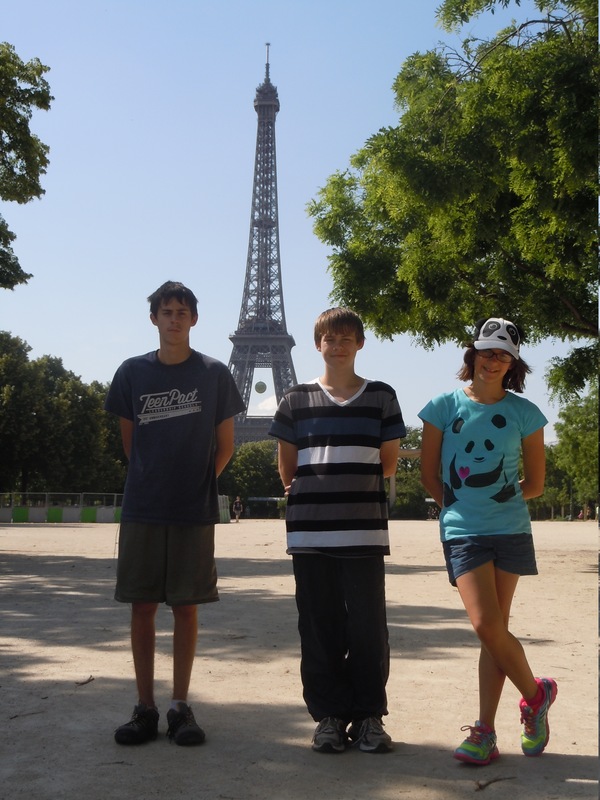 Today I am proud to share Nathan’s non-fiction essay on his extended trip to Europe last summer. 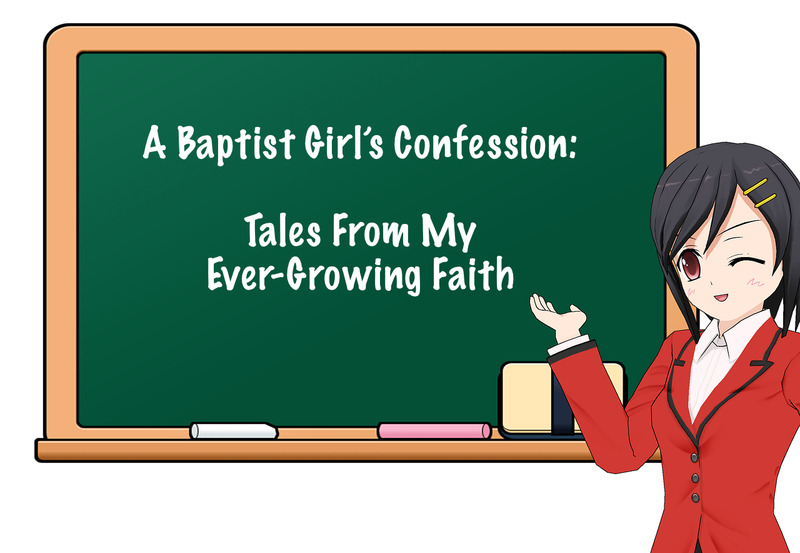 His is the third guest post from one of my children, but there are still two more yet to go as all of my children will have the chance to guest post for me in April. As your average American teen, there are many things I just assume I’ll never have the opportunity to do. I’m not rich enough or famous enough to have the world at my fingertips. Expensive vacations and trips to exotic places were just dreams for my future, not my current reality. However, last summer, when my dad was stationed in Germany with his Army unit, I had the chance of a lifetime to go and spend six weeks with him. It was my Great European Vacation, and I came home from that trip with much more than a few great photos. We arrived at my dad’s house late at night, weary from traveling for well-over 24 hours. I had been looking forward to seeing Germany for months, but now all I could think about was sleep. It wasn’t until I woke up the next morning that I really got to see my surroundings, both the house and the town. My father’s house was interesting, having two main floors and an attic-type room that we used mostly for reading. My room had a great view of a restaurant called The Holstein Hut, which was situated at the top of a very high hill on the outskirts of the village. This restaurant was interesting for many reasons. First, it was only opened business randomly. You never knew for sure if it would be opened or not. The best way to tell was to look for the flag that was raised to indicate that The Holstein Hut was serving food on that particular day. Secondly, you could only get there by hiking, which is why I guess they mostly opened if the weather were suitable for hikers. But the best part about the The Holstein Hut was that it had a particularly great view of the area. Some of my favorite memories of my time in Germany is going out for an afternoon hike to get a sausage at The Holstein Hut and take in some of the beautiful German scenery. My dad had opted to live in a German village instead of on the American base where he worked. The name of this village was Munchweiler an der Alsenz, which means “Munchweiler by the river Alsenz.” You needed the entire name because there were three villages with the name Munchweiler in the area. I suppose I thought that the river Alsenz would be something really special and worth seeing. However, we passed by the Alsenz on one of our many walks around the village, and I was surprised to see it was just this tiny stream! Hardly anything worth naming a village after, if you asked my opinion. Munchweiler an der Alsenz was relatively small and compact, as were all the German villages in the area. Everything was packed close together, and yet it didn’t feel crowded at all. “Did you have a nice-sized backyard?” my mother once asked me. I regretted to tell her that we didn’t. No one had backyards. Yet the area surrounding the village was sort of like a big common backyard that everyone enjoyed. And what a common backyard it was! The entire area was covered in hills, with paths and small roads leading in all directions. There were plenty of trees dotting the most beautiful fields I have ever seen. Everyone walked. No matter where you were going, you walked. You could walk just a couple of miles and pass through three or four villages on your journey. I loved walking because you could really soak in all the beauty. But if you were going far, then you could travel by car on the Audubon (where there really is no speed limit) or by train (which were used in a way that is similar to how Americans might use buses). Hiking in the Black Forest where it was light enough for a photo. Once we took a weekend trip to the Black Forest in southern Germany. Right away I could see where it got its name. The trees were so thick that everything looked black, even in the middle of the day. 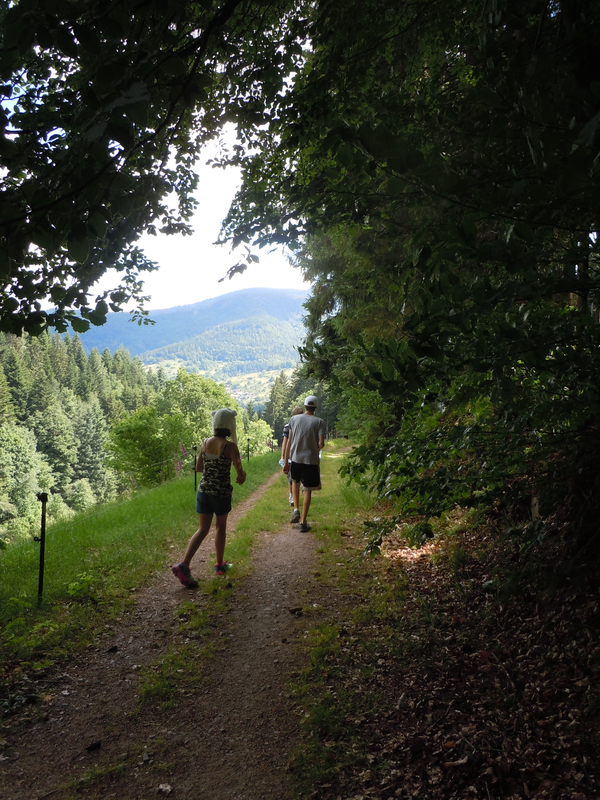 The main thing to do in the Black Forest was hike. We hiked up to the peak and then back down, all the way in semi-darkness. Kegel Bowling … entertaining Germans since the Middle Ages. However, it was also during this visit that I first learned about Kegel Bowling. 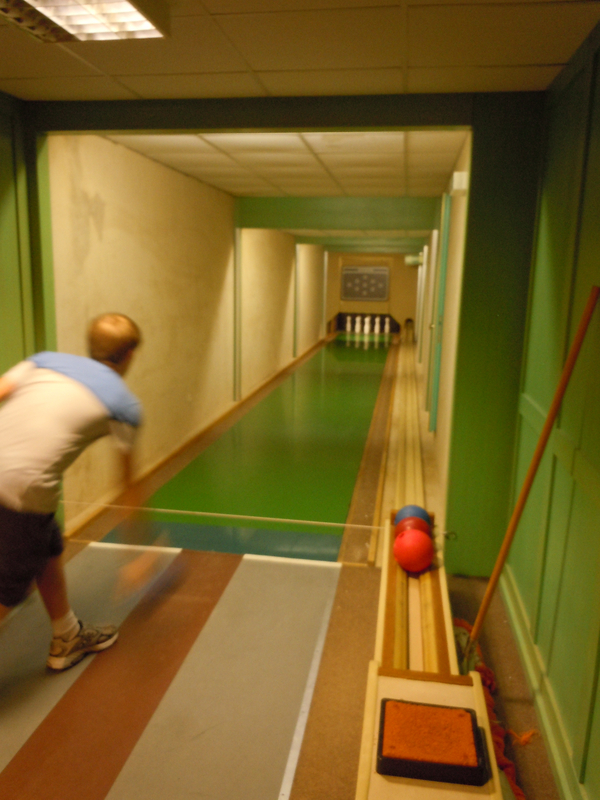 The small bed-and-breakfast where we stayed had a bowling alley in the basement. It was just one lane with nine pins that were arranged in a diamond. This different style of bowling was invented in the 1300’s. Perhaps the strangest part was that there was no pin-setter in this bowling alley. Rather all the pins were attached to strings that were pulled up and lowered again to reset the pins once they had all been knocked down. Another weekend, my father took us to Paris, France. It was a quick trip, so we rushed to get in all the highlights. We went to the Louvre Art Museum, where I saw the Mona Lisa up close and personal. It was so much smaller than I imagined it would be. I also saw the Venus de Milo, which is a famous statue with no arms, and a sculpture of The Great Sphinx. We walked all over Paris. I stood underneath the Eiffel Tower, but I couldn’t ride to the top because the elevator was broken. We climbed every last exhausting stair to get to the top of the Arc de Triomphe. But my favorite part of Paris was all the cafés. Everywhere you looked there was another street-side restaurant, with delicious sandwiches made on baguettes, pasta dishes covered in rich sauces, and crème’ brulee, an amazing dessert that I had often heard of but never tried. 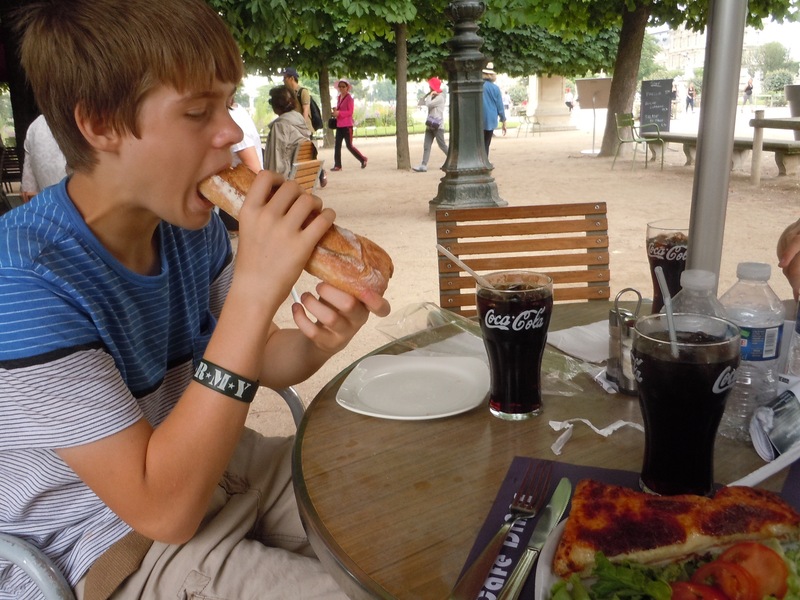 I even ate French fries in France, which to me were exactly like American French fries only they were bigger. I suppose the saying that “everything is bigger in America” isn’t always true. Actually, my favorite part of the entire trip was the food. I can’t even begin to describe how much I enjoyed trying all the new cuisines. Leberknodle, bratwurst brochen, leberkase, jagerschnitzel. I loved it all. My taste buds were in heaven! Leberknodle and bratwurst brochen would be instant hits here in Cajun country. The leberknodle is like a giant boudin meatball, only not quite as spicy. Bratwurst brochen is essentially a sausage poboy. Both are seriously tasty. Leberkase literally means “meat cheese.” Basically, it is meat (sort of like bologna) that is packed tightly in a pan, just like a meatloaf. There is actually no cheese in this dish, but many people say it has the texture of cheese. That’s how it got the name. Honestly, I don’t care what the Germans call it. I just call it delicious! Of all the foods I tried, jagerschnitzel was probably my favorite dish. Schnitzel is simply a pounded fried pork steak, which by itself would be totally awesome. Yet, typically when you order schnitzel at a restaurant, it comes with either cheese (kase) or mushrooms (jager, which is pronounced “yay’-gur”). So jagerschnitzel is a fried pork steak covered with a creamy mushroom sauce. Yummy stuff! Six weeks is a long time to spend in another country. When I returned to my home in Lafayette, my mother hugged me tight and said it looked as if I had grown at least a foot while I had been gone! Of course, I hadn’t, but I had grown up in many ways I never imagined I would. As a result of my extended travels, I am now aware of how culture and history binds people of all nations together, how life in other countries is extremely similar and yet vastly different from life in the U.S., and that if all I ever do is play video games and eat fast food, then I am going to miss out on so much this world has to offer! sounds like an amazing trip!! Thanks for sharing your experience! He definitely came home with a lot of stories to share. Sounds like he had a great trip. I’d love to go to Europe once day. Me, too … I’ve got a passport and will travel. Just wishing money and opportunity would come along at the same time! How cool that you worked for World Vision once upon a time! Our family loves both World Vision and Compassion International. We have three children that we are currently sponsoring, and it definitely brings our family a lot of joy.